"Explosive, riveting, spectacular start . . . with a broadcast of substance and style." Rumors about a brand extension of the highly successful and profitable 60 Minutes began surfacing in July 1998. By October, a first set of names of potential correspondents emerged: Vickey Mabrey, who was based in London; Bob Simon, veteran Middle East correspondent based in Tel Aviv; and Charlie Rose, who kept his interview show on PBS, would work with Dan Rather. Don Hewitt was at first very much against the new show, afraid of diluting the brand, but, as Christopher Martin remembers, some of these fears were assuaged when experienced 60 Minutes producers were hired, such as Jeff Fager. Considered by many "the ideal producer," Fager had worked for 60 Minutes until 1994 when he was moved to the CBS Evening News with Dan Rather and became executive producer fifteen months later. Fager had his own team of producers and researchers, many of them veterans from 60 Minutes, and hired Patti Hassler as his second in command. 60 Minutes II followed the original model but with a twist: three stories of about 12 minutes, one of them "a classic," a revisiting of a 60 Minutes piece, "a sort of story-after-the-story piece," as the Los Angeles Times put it. The satirist Jimmy Tingly was brought on board as an "Andy Rooney-type" commentator. A full-page advertisement in December summed it up: "A New Franchise, With Familiar Faces." The show debuted on January 13, 1999, with a story by producer George Crile in the secret city called Krasnoyarsk-26, which had nuclear reactors built inside a mountain in Siberia; a profile of GOP investigative counsel David Schippers by Carol Marin; and a revising of a 1982 Mike Wallace report, "Honor Thy Children," about Amerasian children, some of them now adults. The New York Times commented on the (purposeful and positive) similarity with 60 Minutes, not just the stopwatch; as Dan Rather noted, it still had "the same high-quality storytelling." Tom Shales in the Washington Post called the first show an "explosive, riveting, spectacular start . . . with a broadcast of substance and style." Additional correspondents included Scott Palley, Lara Logan, Christiane Amanpour, Ed Goran, Charles Grodin, and Mika Brzezinski. 60 Minutes II went on to cover major stories, from the genocide in Srebrenica to the war in Iraq, the AIDS pandemic in Africa, and the 2004 tsunami. The show won numerous awards, including Emmys, Peabodys, RTNDA Edward R. Murrow Awards, and AWRT Gracie Allen Award. 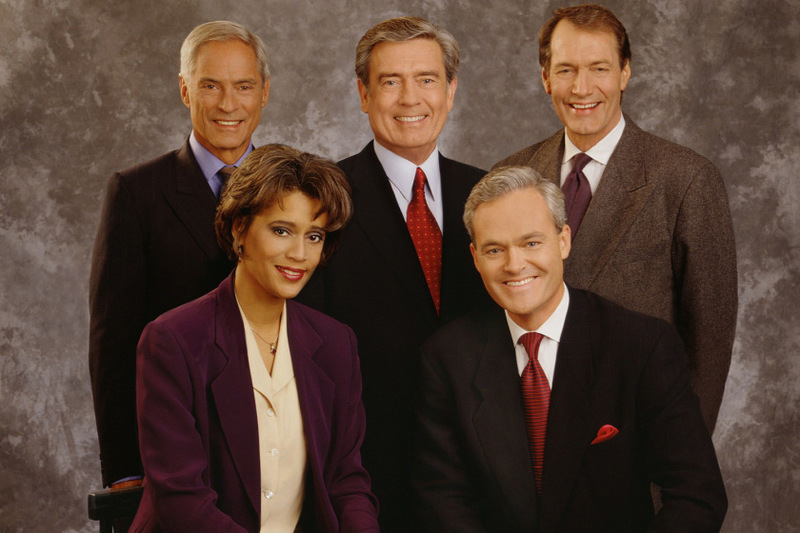 60 Minutes II was canceled in September 2005. During that period, Dan Rather worked with his producers on a variety of stories, from the dangers of backyard pools to the story of a man who committed murder because he wanted to die, from America's war against drugs in Colombia to a look into California's three-strikes law. Rather participated in numerous stories related to 9/11 and the Gulf War, going under Ground Zero, traveling to Afghanistan, and spending extensive time in the Middle East. He interviewed key players, including future Afghan President Hamid Karzai, Iraq Deputy Prime Minister Tariq Aziz, Secretary of State Colin Powell, Defense Secretary Donald Rumsfeld in 2001 and 2003, Saddam Hussein, General Wesley Clark, Jordan's King Abdullah, and two former POWs, Ronald Young Jr. and David S. Williams. He presented stories about the hunt for Saddam Hussein, the training camp for terrorists, the Hussein family's home movies, a soldier who went AWOL from Iraq, the mistreatment of prisoners at Camp Bucca in Southern Iraq, and the abuses at Abu Ghraib. He also focused on the elections, talking, for example, to Senator John McCain, Wesley Clark, and Howard Dean, and presenting a special on the 2000 election of George W. Bush. Picture of Hillary Clinton on January 12, 1999. Walker (Diana) Papers, di_10601, Briscoe Center for American History. Still Image 2 of a tear gas shell case in CBS's "What Really Happened at Waco?" January 25, 2000. Still image of the title shot from CBS's 60 Minutes II piece "Memories of a Massacre," May 1, 2001. Still image of the opening of CBS's "OK Bomb," May 29, 2001. Picture - Hamid Karzai, By USAID Afghanistan [Public domain], via Wikimedia Commons. Video still of Essie Mae Washington-Williams in CBS's "Essie Mae," December 17, 2003. Still Image - Opening of "Court Martial in Iraq (Abu Ghraib)"
Still image from CBS's "For the Record," September 8, 2004.